• 3 story – FOR SALE USD220,000 . 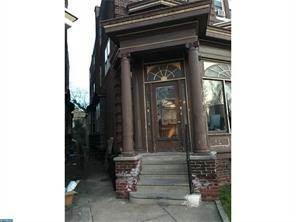 Stunning twin triplex in Logan section of city across from the Logan library. This three story building features two bi-level units and one flat. The first floor apartment is a two bedroom with full kitchen and access to backyard. The second floor bi level unit has two bedrooms, full bath and eat in kitchen with installed washer and dryer and staircase leading to the two bedrooms and bath. the second floor rear has eat in kitchen, living room and stair case leading to one bedroom. Spacious units offer home like living. Close to public transportation. All utilities are separate. Being sold as is. • multiplex – FOR SALE USD1,200,000 . Seize this rare opportunity to get in on the next wave of development in the Wayne Junction Revitalization! This day care facility with a computer learning center has a state approved care capacity for 73 on a 3 lot location, 2 blocks from Wayne Junction Station. Includes separate entrance office, security system with 19 cameras, and 2 outdoor play areas. Each level has a restroom (1st fl., special needs) and kitchen. Area development plans include new restaurants, corporate offices and a multi-million dollar renovation of the Wayne Junction Station where 6 train routes intersect. 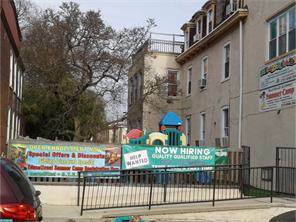 Located 1-2 blocks from 2 schools for easy drop off and pick up before and after school care. Or transform the building and location to meet the burgeoning needs of the Wayne Junction Revitalization! • 2 storey – FOR SALE USD210,000 . Twin duplex in Germantown with 2 plus one bedroom apartments completely renovated with carpeting throughout, newer kitchen cabinets and appliances. Very nice one bedroom apartment on first floor with washer and Dryer installed for your convenience. The second floor has two bedrooms, one bath and kitchen with breakfast bar and installed washer and dryer. Close to Wayne junction rail line and all modes of public transportation.